Mike Hammer: Lady, Go Die! 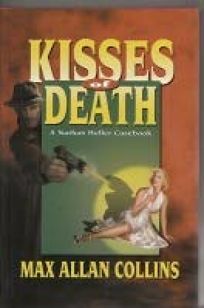 Two-time Shamus winner Max Allan Collins (The Hindenberg Murders) blends fact and fantasy in the new title novella and six previously published short stories assembled in Kisses of Death: A Nathan Heller Casebook. In the novella, wry, slang-slinging PI Heller stumbles upon clues to the Bodenheim murders as he bodyguards a demure Marilyn Monroe.